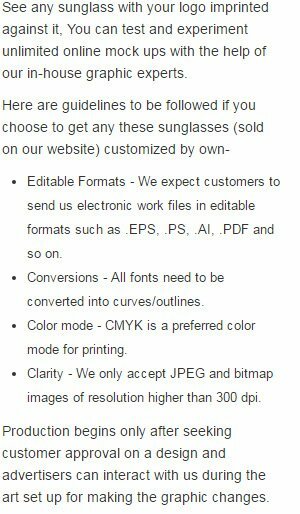 Custom imprinted sunglasses with logo is favored by advertisers who adopt a fun loving way of business promotion. This sunglass is favored by vacationers and other fun seekers who wish to swathe in sunlight on their vacations. This means advertisers can choose to promote their brand during the vacations and at other times. Customers who receive this sunglass as a gift will definitely remember the brand which offered gifted them such cosmic eyewear.